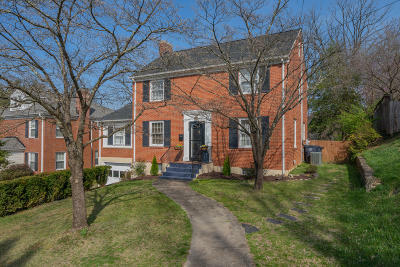 Wonderfully updated Brick 2 Story in the Grandin Village Area! Walk to the Village or the Greenway. The home features 2 rare finds for the neighborhood - a nearly flat fenced yard as well as a garage. Home features large rooms, lots of hardwoods, full basement and walkup attic for storage, and great neighborhood. Recently replaced roof and updated electrical service.